Marketing tools are now an essential ingredient for any business growth hacking strategy. The ChiefMarTech blog has been documenting the growth of the marketing tools industry since 2011. Back then, there were just 150 tools listed. These tools were compiled on a graphic, which is now known in the industry by the name of Martech 5000. By 2017/2018 the number of tools listed had broken through the 5000-mark and is still growing today. 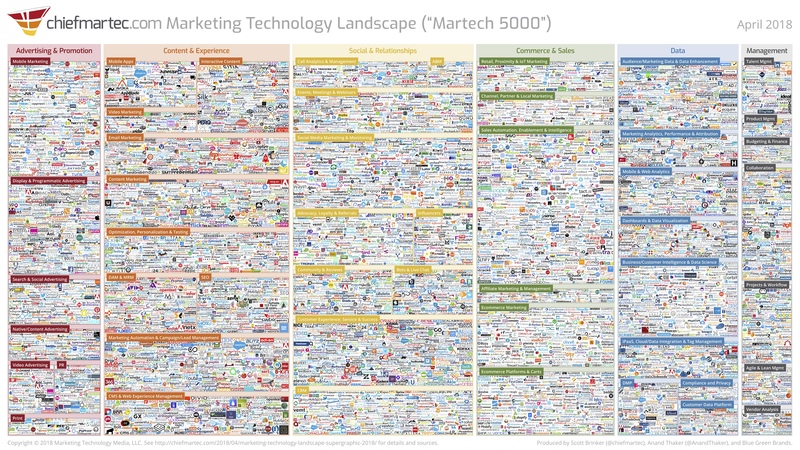 Click on the following link to read more about the marketing technology landscape. With there being so many tools already available and more hitting the market virtually every day. It made sense to help digital entrepreneurs navigate the marketing tools landscape. The entrepreneur blog aims to help the digital entrepreneur by listing the best tools for various tasks. For example, a recent post lists the best Twitter tools. These tools are proven to help growth hack Twitter. While another post offers a detailed review of two leading pieces of video creation software. The video tools in question are called Animoto and Magisto. You can read the full software review by clicking on the following link Animoto vs Magisto. To further aid digital entrepreneurs with their discovery and selection process of digital tools. This blog has listed the tools into 3 main categories. Free Tools, Tools For Entrepreneurs and Enterprise Tools. Hopefully, these categories will shorten the research process when selecting the best tools for any given task. Click on the following buttons to view each tool list category. Then filter down even further by using the lists displayed under each main category. Fast track your business for success by using the right marketing tools. Click on one of the above buttons to find the best tools for your unique business needs.